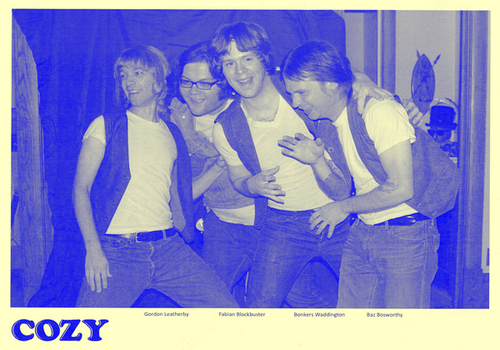 If you haven’t been getting your fill of power-pop lately [which would be hard to imagine since there’s been such a flood of it in the last year] let us introduce you to Cozy. While it might look and sound like they’re from bubble gum glam era ’80s – they’re really a current 4piece of rock and rollers with an initiative to keep things sweet. The Chicago boys just had their first 7″ drop from HoZac and it’s a rock candy gem. They’re definitely not reinventing anything or bringing anything incredibly “new” to the table – but they’re keeping the spirit of Milk ‘N Cookies and Slade and The Sweet alive – so that’s got us hooked. You can check out a track from them below and order the single right here. They’ll be jamming it out this year at HoZac’s Blackout Fest so catch them while you’re there.